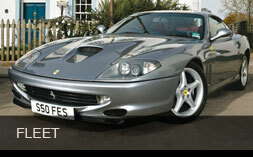 We can provide personalised Fantasy Garage car hire gift vouchers to say whatever you want. 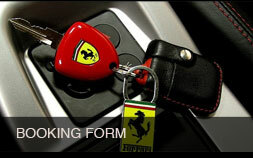 We will include the recipient's name and date but you can choose a personalised message. So whether you want James Bond Weekend, Ferrari Touring Trip, or just to say ”Happy Christmas Dad”, come up with your own special message and contact us. As Sir Henry Royce said: “The quality will remain long after the price is forgotten”. The memory of a special driving experience will remain for a long time. All our Fantasy Garage gift vouchers are valid for 12 months from the date printed on them (ie the Birthday date or other gift date). If you think the Fantasy Garage gift voucher isn’t impressive enough, then why not bundle it up with a book on their favourite classic car, with the gift voucher inside as a bookmark, or tucked in to the case of a cd?